I just got a surprise birthday present... A rabbit! And it was a real surprise since my b-day is in August (the 4th). 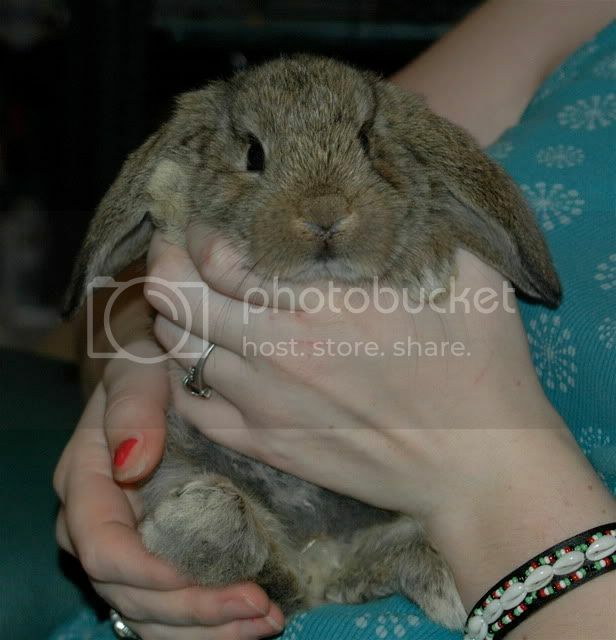 It is a brown mini lop, very cute. I am sure I will have tons of questions later, but for now, anyone have some good *non-traditional* ideas for bunny names? My husband was thinking maybe Biggie after Biggie Smalls the rapper. It is seemingly a girl BTW. Or you could go with Notorious-if he's into biggie. Okay, I am really liking that idea! The hubby is really diggin' it too! Thanks!